Scientists have identified a hotspot for autism-related mutations in a single gene. Through the study of data collected from thousands of genomes of people with autism-spectrum disorders, researchers at the University of Southern California focused on a gene called TRIO. The gene produces a protein that influences the development and strength – or weakness – of the connections between brain cells. 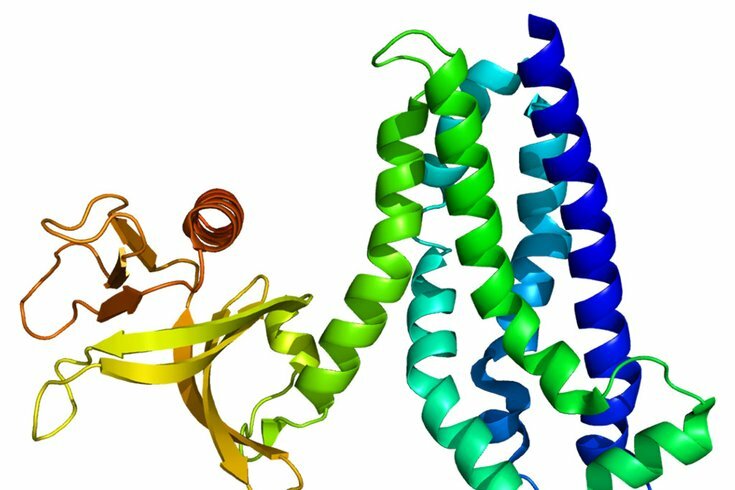 Eight autism-associated mutations were found clustered within a small region of the Trio protein, scientists said. Changes in the protein's function early in a child's brain development can potentially hamper connections between brain cells and, consequently, make it harder for the brain to store and process information. "I have never seen this number of autism-related mutations in such a small area," said Bruce Herring, the study's corresponding author and a neurobiologist at the USC Dornsife College of Letters, Arts and Sciences, in a news release. "The likelihood that this number of mutations occurs by chance is 1 in 1.8 trillion. We're pretty confident these mutations contribute to the development of autism-related disorders." Autism affects about 3.5 million Americans, and about 1 in 68 U.S. children, according to the Centers for Disease Control and Prevention. It is known to hamper socialization and communication and is often accompanied by intellectual disability. No single cause of autism has been identified. "Many genes have been implicated in autism," added Herring, an associate professor for USC Dornsife's Section of Neurobiology. "What we want to know is: What do these genes have in common? We are looking for the points of convergence that ultimately lead to this spectrum of disorders." The findings were published Tuesday in the journal Nature Communications.